I received a text message from the husband earlier yesterday inviting me to watch a musical show at Istana Budaya. pfft kenapa tak cakap awal! It was Friday and I'm wearing casual but hubby said it was okay. I had something to finish up yesterday so we didn't make it to go back home and changed. 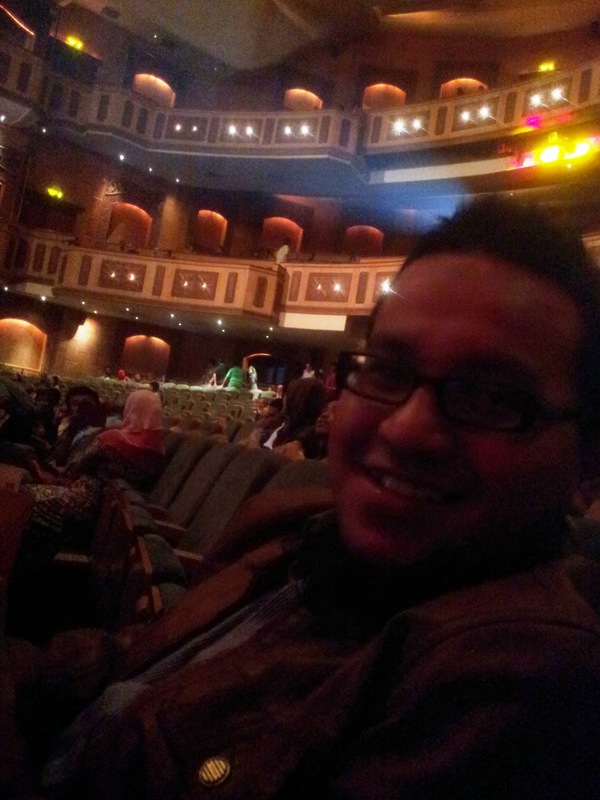 The show started at 8.30 pm. We performed Maghrib prayers at the office and drove to Istana Budaya. We managed to have dinner before we entered the hall, or else we sure lapar until midnight! 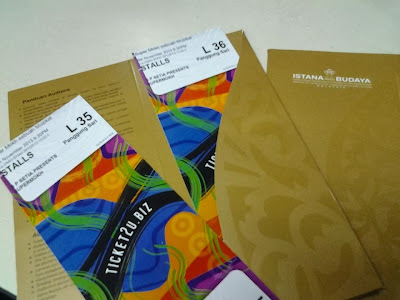 Our tickets was sponsored by SP Setia which was the main sponsors of the musical. 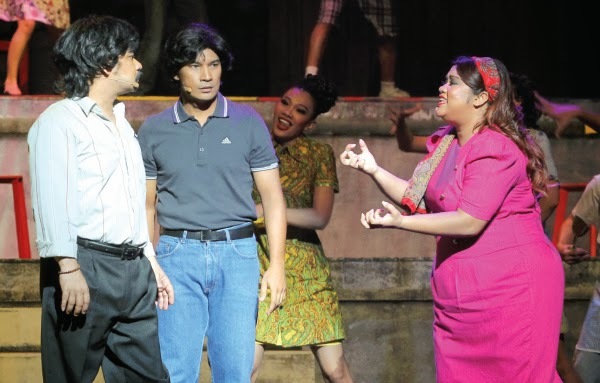 The role of Supermokh was played by rock singer and actor Awie and his wife's role Datin Tengu Zarina was played by Maya Karin. 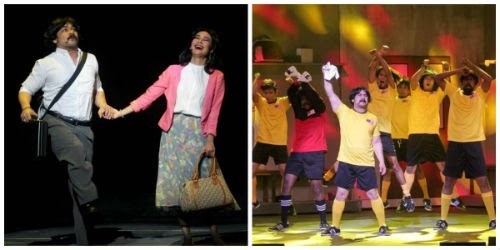 It was an energetic performances by all the casts including Dina Nazir (Eravengers), Rashidi Ishak and Douglas Lim. The music arrangement was equally splendid. 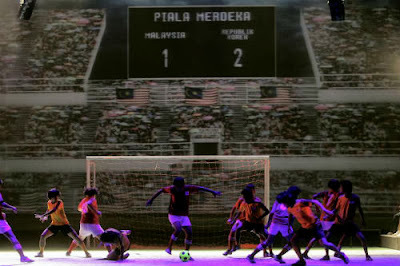 We was amazed by the props they used for the musical show, it was all well designed and the lightings added noticeable value to this performance. The choreographic was wonderful and we had enjoyed every single scenes of SuperMokh's personal life in this musical show. 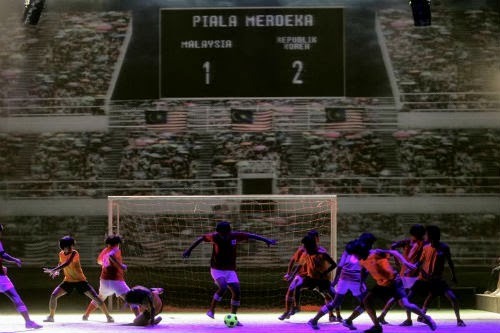 Hats off to Hans Isaac, Harith Iskander and their team for an excellent efforts of making this musical show a success and most importantly inspire the younger generations about Malaysia's legendary football players. Allahyarham Datuk Mohamad Mohktar Dahari who was born on 13 November 1953 at Setapak Kuala Lumpur, was one of the best players in Asia and the best Malaysian footballer in the 1970s. 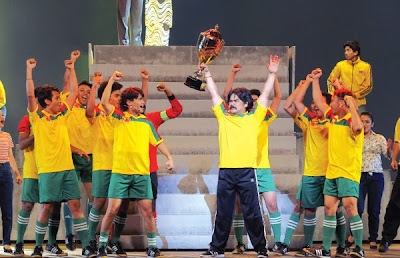 He was known as 'SuperMokh' due to his successful career in football including striking the most numbered of goals for Selangor and Malaysia. He was married to Tengku Zarina Tengku Ibrahim and has 3 childrens. In the late 80s, he was diagnosed with motor neuron disease (MND), and went to London with Zarina to cure his condition. After three years of battling the disease, he died from it in July 1991 at the age of 37.